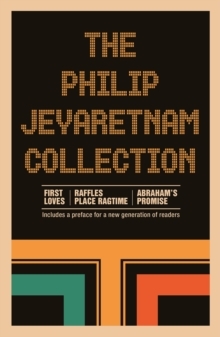 This collection gathers three of Philip Jeyaretnam's best-known worksFirst Loves, Raffles Place Ragtime and Abraham's Promise. Together, they showcase Jeyaretnam's technique and accomplishments across a range of forms, subject matter and emotional landscapes. Set in Singapore in the 1960s through the 1980s, the short stories and novels explore themes of identity, materialism, interracial relationships, power and betrayal; foreground the thinkers, dreamers and doers of post-colonial Singapore; and expose the young nation's frailties, cracks and contradictions.